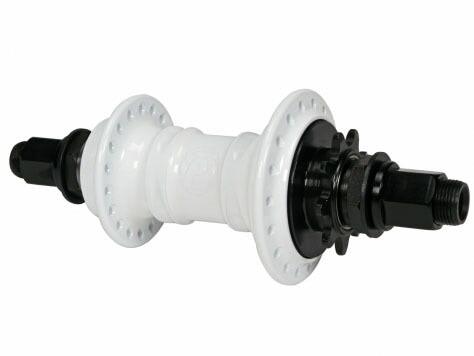 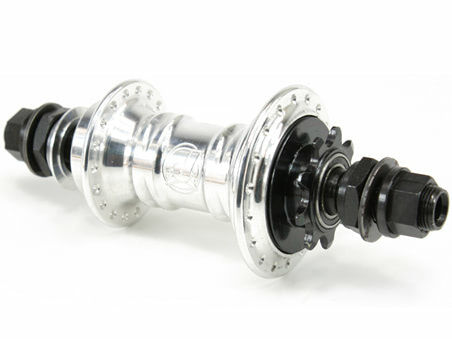 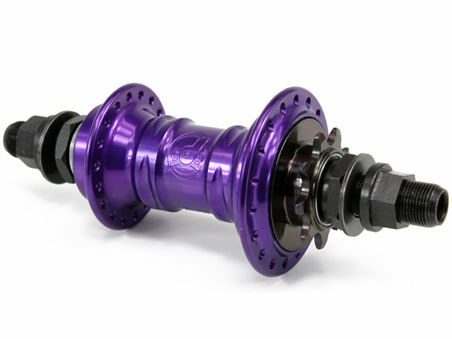 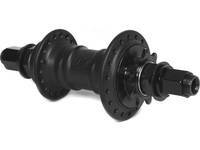 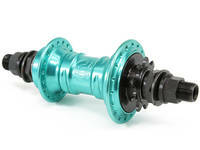 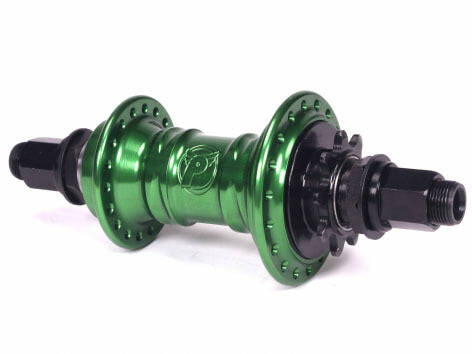 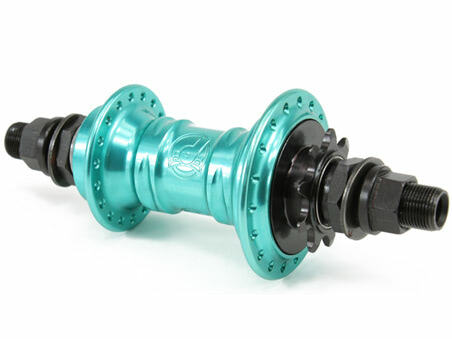 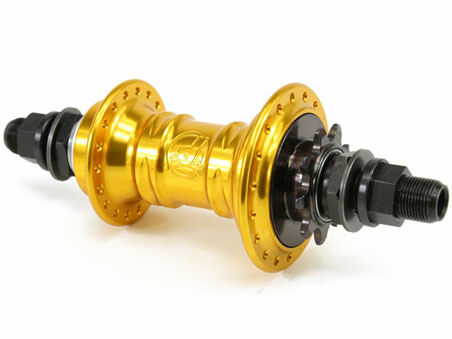 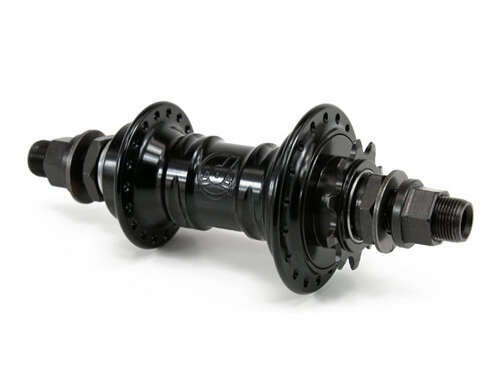 The Profile Mini Race rear hub is has become the "go to" hub in the bmx community. 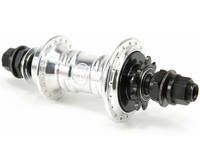 The attention to quality, detailed machining and product integrity that Profile Racing is so well known for. The Profile Mini Race Hub weighs only 12.9 oz (365grams) and features a low-flange design and 3-piece 3/8" axle with aluminum center that helps with the weight savings. Run pegs? 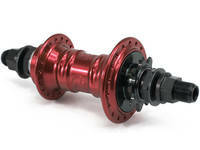 Upgrade to a 14mm male axle.